Get accommodation at this elegant homestead-styled game lodge set on top of a granite outcrop in the heart of the North West bushveld lies within the 4 500 hectare Sable Ranch wildlife sanctuary and offers an experience to be treasured by all its guests. Conveniently located in a malaria-free zone, it is one and a half hours’ drive from Johannesburg and slightly less from Pretoria, 30km to the north of the town of Brits. The four-star lodge offers exceptionally comfortable accommodation for a maximum of 16 guests, in standard rooms leading out into the fever tree dotted gardens, or luxury suites with private balconies overlooking the pristine bushveld and the Thaba Khaya Lodge waterhole. Thaba Khaya Lodge chooses to accommodate no more than sixteen guests to ensure a sense of privacy and personal attention from our delightful team. Thaba Khaya Lodge offers three exquisite standard suites that are part of the original farm house, two of which lead directly into your own wild life sanctuary on our lodge grounds. A further three luxury suites are offered just off the main farm house with an additional private outside veranda where guests can privately relax, bask in the sunshine and witness magnificent sunrises and sunsets. 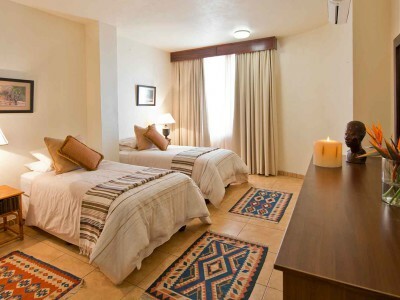 All suites offer spacious bedrooms and bathrooms and are complimented with twin showers and twin vanities to ensure your comfort. 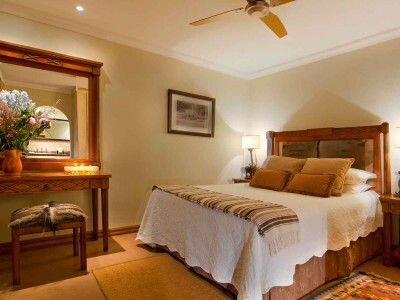 Thaba Khaya Lodge furthermore offers a family suite perfect for family weekend getaways and holidays. 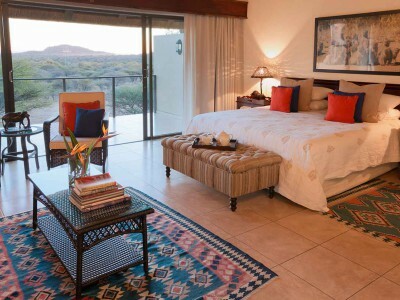 The majestic master bedroom is within meters from the watering hole, providing a superb view of the wildlife that often come to drink.